Heavenly Father, I praise You and thank You for this day. A new day to seek You, and Your ways; to serve You, and those around me. Help me to set aside me, and clearly see You. Help me to be who You created me to be. I ask You for wisdom, Lord, believing that You will bless me just as Your word says. May I speak only Truth, and right things. May my mouth represent You, and Your righteousness. Be with me, this day, Lord, that even one life will be changed for You, and Your kingdom; and that together we will change our homes, our nation; and this world, by the saving grace of Jesus Christ. Blessed be Your Holy Name, for You are worthy to be praised! In Jesus’ name, I ask these things. . . Amen. My youngest son came through the door with an enthusiastic grin on his face. He’d been gone a few hours helping his dad on a job. Before I could say, “Hello” or ask how his morning had been, he asked, “Hey Mom, daisies are your favorite flower, right?” I hadn’t noticed his hands behind his back until that moment. “Yes, sir. They certainly are,” I replied with a note of anticipation. 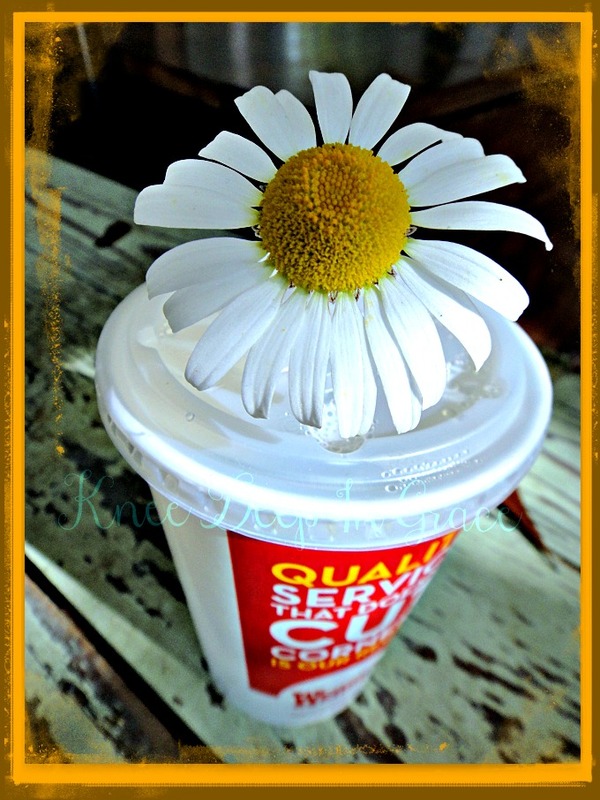 “Here, I got this for you!” he said as he handed me the loveliest flower in the prettiest vase he’d been able to find. Clearly, he loves me and I am one blessed momma! For almost 25 years my children have been receiving magazine subscriptions, as Christmas gifts, from two of the best aunts in the world! When we had only small children they ordered Your Big Backyard; as we added children to our household, the aunts kept up with the older ones and added Ranger Rick. We continued to add a newborn every couple of years, for several years, and the older ones just never stopped getting older; so, eventually National Geographic was added. Last year was the first year in a long time that Big Backyard did not come to our house. My “littles” have finally outgrown it. You wouldn’t believe how many back issues of these magazines I have kept! My children have always been interested in nature; animals, bugs, trees, water, etc. They read about it, draw it, take photos of it, and generally appreciate God’s creation of it, every single day. I wish I had known about Creation Illustrated! It would have been at the top of my Humbly-Request-Your-Consideration-of-These-Magazines List for the aunts gift subscription choices. These magazines are stunning and impressive in their quality! Every page is printed on heavy paper, using vivid color and high gloss. 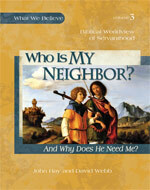 A 55 page, Biblically founded, nature journal. Unlike National Geographic, in the respect that I do not have to say, “Don’t browse through the magazine until I get the chance to look at it first,” when it comes in the mail. With NG I had to have the opportunity to prepare for discussion of some content, ahead of time; some articles and pictures were not even approved for viewing, at certain ages. 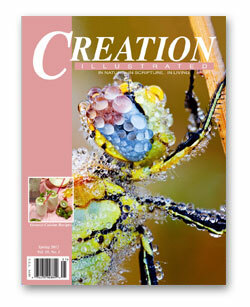 I trust Creation Illustrated and it is a free-for-all to see who gets it first! A 1-year subscription, 4 issues is $19.95, 2-yrs. (8) for $37.95, or 3-yrs. (12) for $53.95. There are several back issues available for $2.99 each plus s/h. Although, I understand the costs of publication, compared to the larger magazines, I acknowledge that some might find this a little steep in price. I can get more issues, for less money, if I choose a different magazine, but also get a lack of my God in creation, old-earth mentality, evolution, and assundry other ideas I’d rather not deal with every time a page is turned. I, personally, think the cost is worth it and I’ll adjust my budget, or put in a request to the aunts, to support the wonder that is Creation Illustrated magazine. Please, follow the links I’ve posted here and take a few minutes to read the opinions of an outstanding group of reviewers, by clicking the graphic below. Disclaimer* Four issues of this magazine were given to me, free of charge, in exchange for my honest review, as a member of the Schoolhouse Review Crew. I receive no other compensation for my reviews on this blog. The opinions expressed are my own. There is a Crew Spotlight on the Schoolhouse Review Crew Blog, featuring a different Crew member each week. On June 21st, the Crew Spotlight will kindly be on me; linking to this blog. Wah, how sweet is that! Approximately 200 homeschool families comprise our Schoolhouse Review Crew, and the fact that I will be featured in a Spotlight is both amazing and humbling. It is an honor to work with the multitalented people on this Crew; supporting and encouraging the homeschool community around the world. 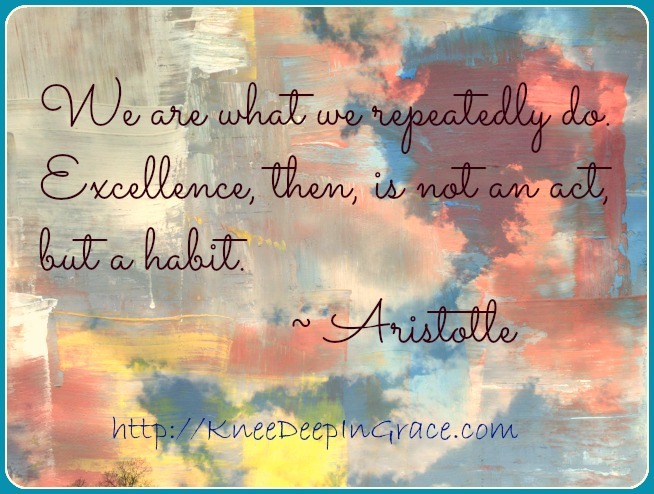 I hope you’ll read my post, The Experienced Homeschool Mom, then stop back here and let me know what you think of it. I am so excited to share it with you! The Art of Argument, is one of the exceptional studies offered by Classical Academic Press. It teaches the ability to reason and to recognize poor reasoning. It covers 28 fallacies of relevance, presumption and clarity, over 28 chapters. This is an introduction to the informal fallacies. It was designed with Junior High students in mind, but my older children, who have had no previous teaching in logic, are learning the definitions and fallacies that are presented, as well. The more they practice them, the quicker they are able to recognize them. The publisher states that “fallacies are present on the political left and right (and in the middle) and in the arguments of people of all kinds of political, religious, and cultural viewpoints. No one ‘school of thought’ is fallacy-free!” We and our children are bombarded with political jargon, especially in this election year, advertisements and commercials, editorials, etc. Having the skills to wade through the swamp of errant information and clearly identify the flawed arguments is critical to finding the truth. We have not completed this course, but we already utilize what we have learned. We have more awareness of the need to filter and evaluate what we hear, plus we’re learning to use the tools of detection and analysis that we’ve been given. Yes, I said we. I am learning to be even more logically reasonable in my arguments discussions. Jokingly, my husband is not amused, as he already believed my talents have been wasted and I should have become a lawyer. I reason that I’d do well to take advantage of learning logic now, making sure my children don’t get ahead of me! 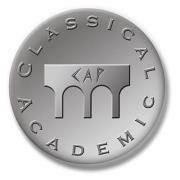 Classical Academic Press offers classical curricula and media in Latin, Spanish, Greek, French, Logic, Bible and Poetry. They back their products with a 30-day money back guarantee. 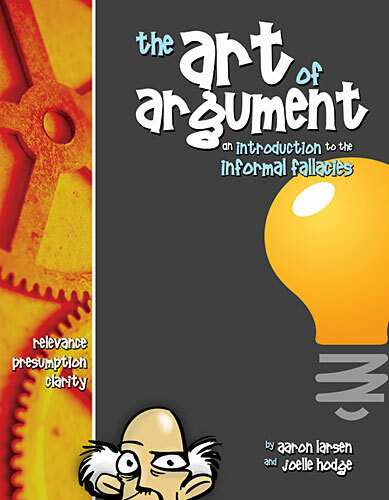 The Art of Argument student book is a workbook – text and discussion, questions and essays. It is $21.95. 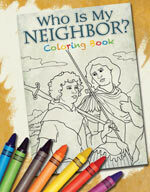 The Teacher’s Edition, includes the complete student text, answer keys, quizzes and tests, for $24.95. 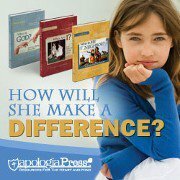 A set of 5 DVD’s, teaching videos to complement The Art of Argument, is available for $54.95. For your convenience, I’ve provided links throughout this post that you can follow for more information. You’ll also find my crew mates reviews by clicking on the TOS graphic, below. Euripides is credited with saying, “reason can wrestle and overthrow terror.” Maybe he knew The Old Testament Scripture, Isaiah 41:10, “fear not, for I am with you; be not dismayed, for I am your God; I will strengthen you, I will help you, I will uphold you with my righteous right hand.” Seems logical to me.